Home » Film » TEN » Lloyd Kaufman of Troma writes the cast and crew of TEN a thank you note for his voice cameo! 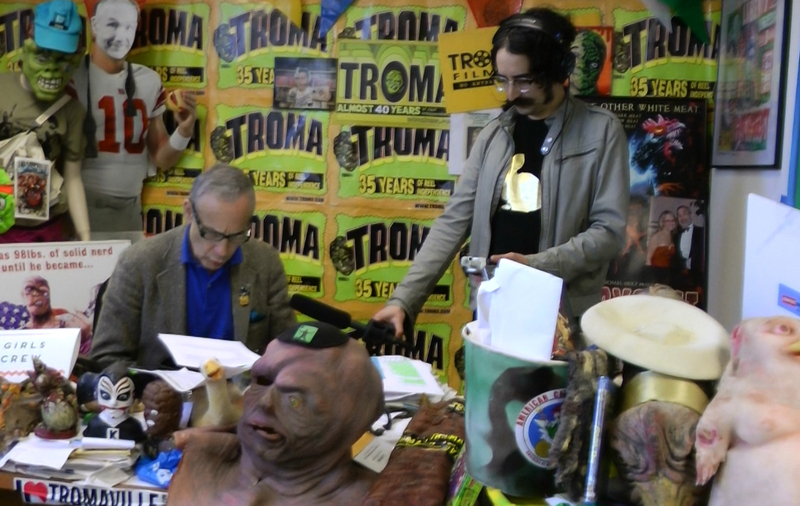 Lloyd Kaufman of Troma writes the cast and crew of TEN a thank you note for his voice cameo! 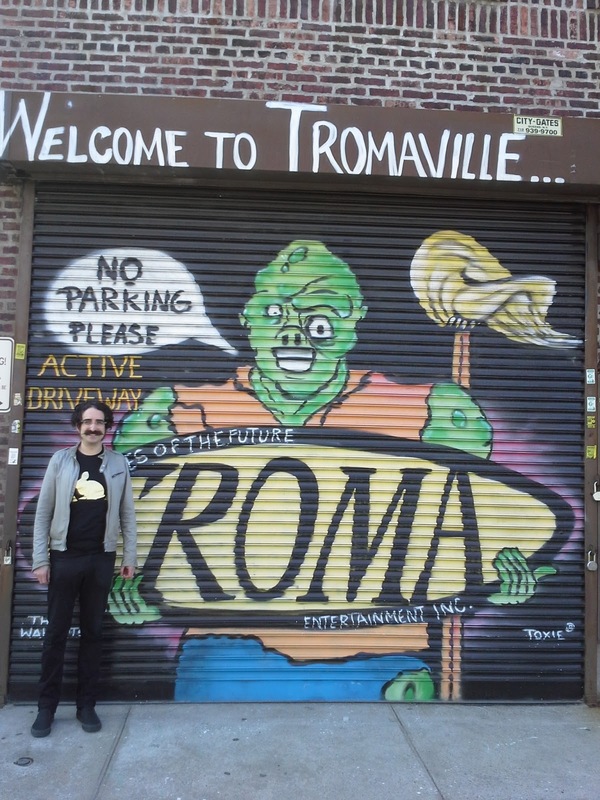 David Joseph Clarke, first assistant director for TEN ran into Troma’s Lloyd Kaufman in Melbourne (where David currently does quite a bit of film and film festival work) and Lloyd wrote us this lovely note! 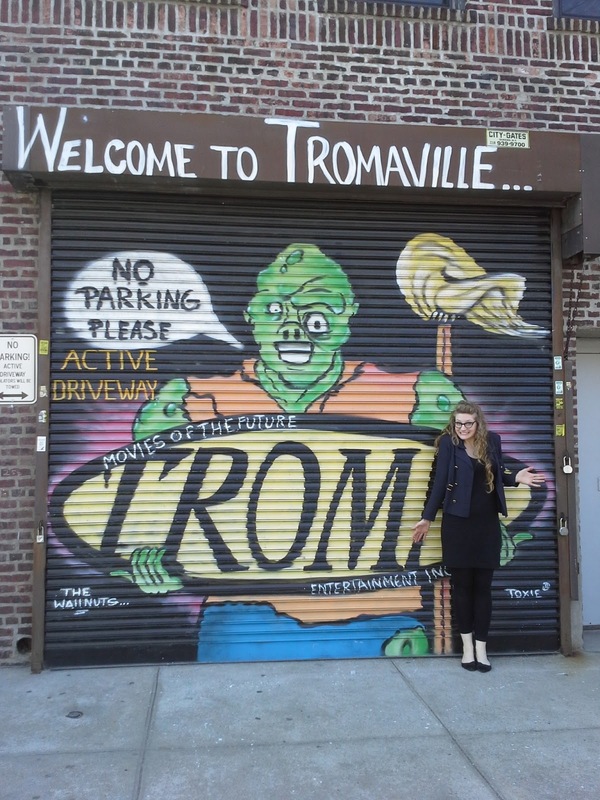 Sophia and I had the awesome pleasure of visiting Tromaville! 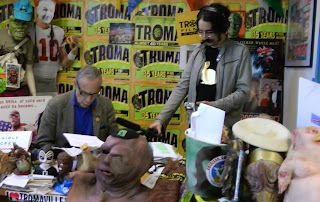 Lloyd Kaufman, President and Co-Founder of Troma Entertainment, was extremely kind and agreed to play a voice role in TEN. We were unbelievably honored by this. 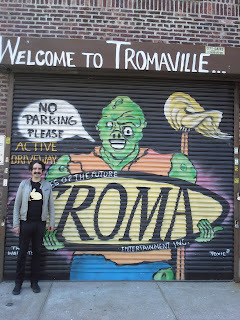 I’ve been a huge fan of Troma since I first saw Toxic Avenger around age 13. I loved it so much that I quickly worked my way through Class of Nuke ‘Em High, Surf Nazis Must Die!, Sgt. 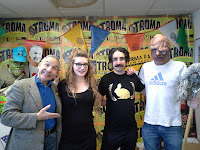 Kabukiman N.Y.P.D., Troma’s War, and perhaps my favorite, The Toxic Avenger Part II. I was later delighted to bask in my hatred of William Shakespeare’s Romeo and Juliet by repeatedly making everyone I knew watch Tromeo and Juliet. Everyone at Troma was super nice. We got a tour of the office and saw lots of great props, both old and new, hanging around. 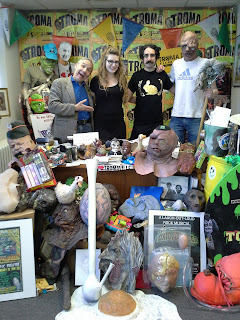 We got to see their film vault, their store stock collection, and their other materials archives. 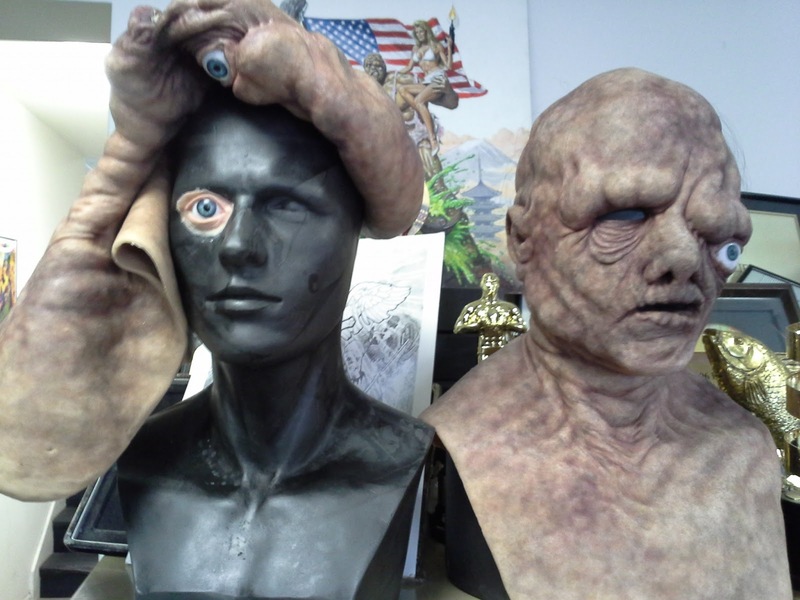 Lloyd himself was extremely kind and really showed he cared about delivering his part well (which he did!). We’re very excited that we got to include him as part of our film’s story and we’re sure his well-known voice will receive cheers from our future viewers! It was thrilling to be able to receive this kind of support from someone whose work inspired us to make movies. After seeing Kristilyn’s beautiful TEN postcard (which he tacked to the wall behind him), Lloyd asked us, with great concern if our movie promoted violence against animals. We told him about our use of pig imagery and that we are vegans. 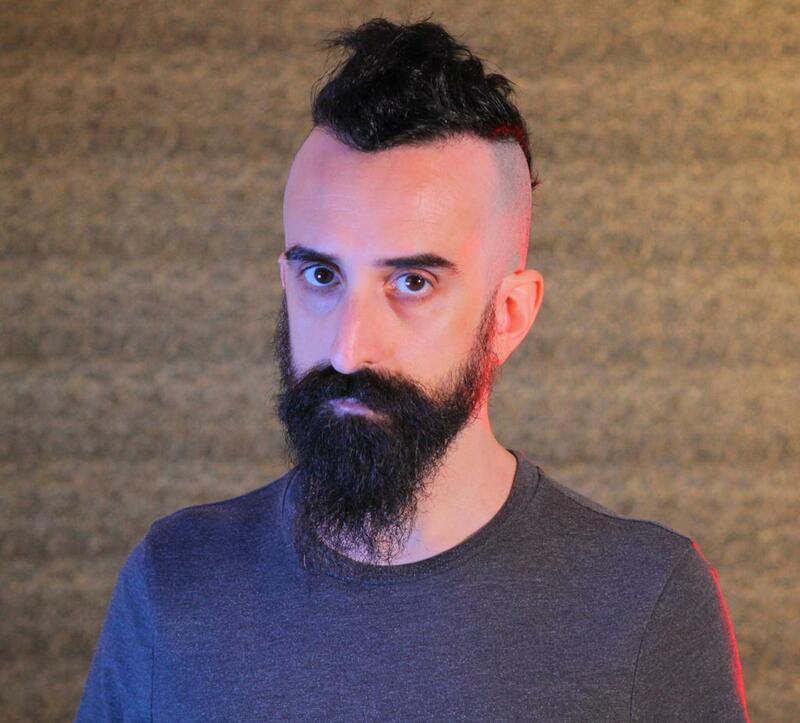 He is active in promoting animal rights, not only in his films’ commentary on processed food (see Poultrygeist and Return to Nuke ‘Em High), but also with PETA work like his Sunny Acres Farms PSA. Here’s some video of behind-the-scenes. He’s telling some hilarious stories and having fun! Another filmmaker from Belgium named Nayila (sp?) was visiting at the time and she helped take photos of us and watched as we recorded the voice performance. As a related aside, right before filming TEN, during our pre-production period, we studied Lloyd’s Make Your Own Damn Movie DVD set extensively and found it to provide really helpful insight into so many elements of filmmaking. 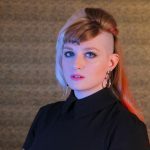 From the behind-the-scenes effects shots to the interviews with filmmakers at various levels, it was a really great chance to get some insight into how different people approach the processes we were about to dive into. Since finishing production, I’ve studied Lloyd’s Sell Your Own Damn Movie! and found it very helpful for creating our marketing and distribution strategies. In short, I feel unbelievably grateful to have had a chance to not only shake the hand of someone who inspired me to get involved in filmmaking, but to actually record his performance to include in our very own damn movie! Thanks Lloyd! Previous PostThe Ungovernable Force first look teaser!